Xiaomi has been expanding its operations in India by releasing a lot of appealing smartphones in every price range. One such phone which has attained a lot of popularity in recent times is the Redmi 5, one of the latest of devices from Xiaomi to enter the Indian market after a streak of successful devices by the Chinese Manufacturer. 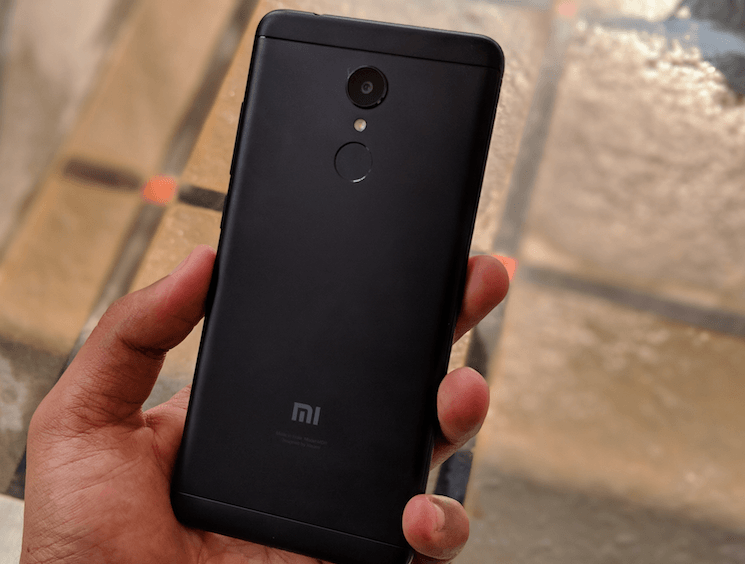 The Redmi 5 is introduced as a successor to the Xiaomi Redmi 4 which was one of the best devices of 2017. And for the asking price, the Redmi 5 packs a punch. But does that translate into the real life? Let’s find out. The Redmi 5 comes with a unimetal body design which offers a premium feel to the phone. The screen of the device measures to be 5.7-inch with an 18:9 aspect ratio putting the device right with its time. The thickness of the phone which is 7.7mm gives a nice hint of sleekness to the Redmi 5. Overall the aesthetics of the phone are at par with other devices of the same price range. Talking about the form factor, the Redmi 5 houses a 3.5mm headphone jack on the top, with the SIM tray on the left and the charging port down below along with the speaker grill. By housing a single camera setup on the middle back of the phone together with the fingerprint sensor, the phone gives a modern feel despite its heavily affordable price tag. The Redmi 5 comes with a surprisingly good quality of display, with the screen offering HD+ resolution to render graphics. The colour tones and contrast are well produced on the device, along with this the Redmi 5 also offers great viewing angles to notch up the quality of the display. The device also doesn’t get left behind when exposed to sunlight and provides great legibility even under bright settings. Xiaomi is known for implementing great features in the MiUI before. While conventionally a lot of users have been wary of using anything different than the original Android experience, MIUI definitely seems to differ by providing a seamless experience to the user. In Redmi 5 the applications have been grouped according to usability, all the Google apps have been grouped together, also the Microsoft Office apps like Word, Excel etc. have gone through a similar grouping. Other useful tools like the recorder, clock, calculator and more have also been ordered the same way. A very interesting feature on the Redmi 5 seems to be the inbuilt IR blaster in the phone which can be used to control air conditioners or televisions. Apart from that, there is also a pre-installed security scan feature, option to boost battery and performance etc. Speaking in terms of performance, the Redmi 5 definitely justifies its price tag. The phone is able to handle basic gaming and day to day operations without any hassle. The device which comes with 3GB of RAM and 32GB onboard storage (priced at Rs 8,999) out of which close to 23.5GB was user accessible, offers a decent experience to anyone who is looking for performance in this price range. The device shows no lags whatsoever on basic operation and multitasking and even offers the option of expandable storage. The Redmi 5 offers a decent photographic quality for people looking towards normal shooting scenarios. The 12MP rear shooter comes equipped with a lot of options like tilt-shift, timer, straighten, panorama and a manual mode. The camera app also comes with a lot of pre-setup scenes which will help the user take a better-quality snap like auto, portrait, landscape, sports, night, night portrait, beach, snow, sunset and fireworks. The Redmi 5 although embedding all these qualities still suffers in the low light photography section, as the images being shot in low light render with a lot of noise. As for the video, the Redmi 5 allows videos to be shot in full HD resolution. For selfie shooters, the phone comes with a 5MP sensor on the front which includes smart beautification software. The Xiaomi Redmi 5 also doesn’t fail to disappoint on the battery front as the device packs a powerful 3,300mAh battery. Based on this, the device manages to function entirely for a day without charging. On a basic use involving calls, push notifications, and a bit of video streaming the phone effortlessly lasts for an entire day. Given that the phone comes with an efficient processor and a pre-installed battery manager, it is able to sustain the battery for long. Xiaomi has released a lot of devices in the Indian market lately. There is something for everyone in the Xiaomi store right now, with devices coming at every price point and sporting every configuration combination. In such a range the Redmi 5 makes its position perfectly in between the Redmi 5A and Redmi Note 5. With the Redmi 5 coming at Rs 7,999 the attractive price tag makes it the perfect mid player between the two phones which ship at the prices of Rs 5,999 and Rs 9,999 respectively. Best budget segment phone currently available which has a decent configuration. Instead of buying this, buy Tenor G/Redmi Note 5 /Redmi Note 4/Honor 9 Lite!!!! Why the review is feeling like a glorious company promotional material? We need benchmarks, analysis. Please Telecomtalk provide these. This is absolutely not a review. Our Indian readers will greatly benefit.